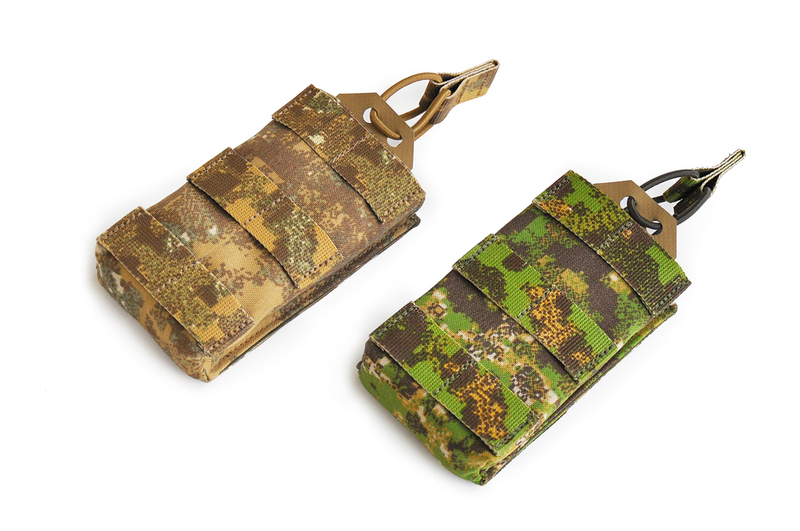 These are some single open top mag pouches that we are developing. They have an overall height of 5" and feature a shock cord retention. They can be attached to a modular platform with either short or long Malice Clips, and can be added on top of or underneath other pouches. We may split the design into two separate pouch styles; one taller with a removable flap and another shorter that will retain the shock cord top.